Cancer Warrior: Ready to Grow Forward? I worked with coach Kathleen, when I needed some new direction in my life, because I was entering a new season in motherhood. Kathleen is a great encourager, and no dream is too big, or too silly for her to pursuit with Kathleen. So will be your biggest fan! She is also a great and safe listener, which is essential in discussing these issues of the heart. When you are setting new goals in your life, and when they are still in the brainstorm fase, you need a good confidant to talk to. Kathleen is that. I have set new goals for my personal life, my marriage, my business, and my motherhood, under Kathleen’s guidance, and would definitely recommend her to all of my friends. "I have been honored to work with Kathleen as my Christian life coach. My goal from the out set was to gain a better perspective and acceptance of my current life situation. After moving and giving up a full time job of 21 years, I found myself adrift due to a number of challenging events within our family. With Kathleen's compassionate listening, gentle suggestions, insightful exercises and incredible prayers, I have been able to experience personal growth. By the end of our sessions, I found myself much more comfortable and accepting of my situation. God bless you, Kathleen!" One of our primary goals at Joni and Friends Family Retreat is to send the families home with new tools and resources to help them as they deal with the many life challenges they face due to disability. This year, I think we rang the bell! Kathleen came to the retreat and brought a Personal Retreat toolbox full of wonderful ideas. For a couple of good hours, she taught our FR moms how to create their own little personal retreat… how to take care of themselves by drawing closer to the Lord. What a blessing it was for me to hear the moms as they talked about how they were going to put into practice these new ideas. I loved the BE STILL Retreat. Most importantly I learned that HAVING quiet times with God is so essential and that it can be amazingly special. I also learned about HOW to keep my quiet time with the Lord. There are so many things you can do to grow and learn, and spending that time with the Lord can make miracles happen in your life. The Be Still Retreat taught me that just always remembering to make that time, is the beginning of knowing the Lord and myself in a stronger healthier amazingly special way. "Thanks for allowing God to use you in a mighty way this past weekend." "Whether providing private counsel or serving as a group leader or guest speaker at a retreat, Kathleen Brooks will gently and lovingly walk you closer to the Lord. With her humor and her own personal stories of recovery and overcoming, you will feel and know the presence, and comfort of the Lord. Kathleen leads one on an ever deepening and enriching love affair with the Lord. Emily Dickenson once penned, “Truth must dazzle gradually, or every man be blind”. Kathleen carefully and lovingly dazzles." 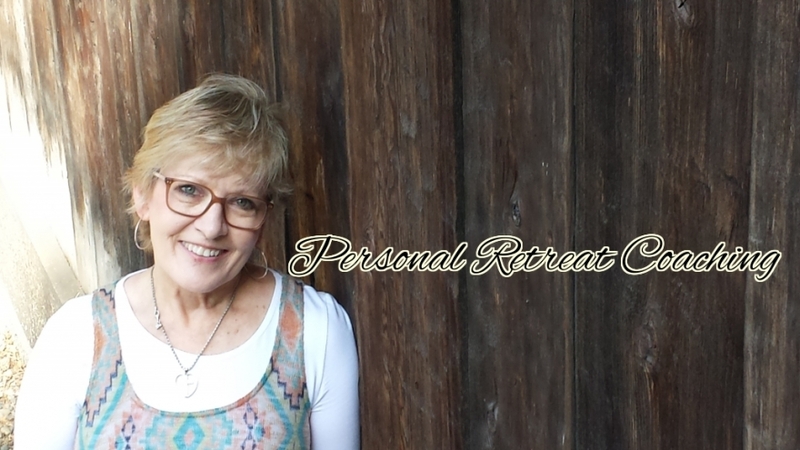 What do some Personal Retreat Day clients have to say? "My personal retreat day was everything I could have hoped for and so much more! Based on a detailed but simple questionnaire Kathleen asked me to complete beforehand, she planned a totally relaxing day filled with sweet, sweet fellowship. My day began with a beautiful lavender plant and the day’s itinerary presented to me when Kathleen picked me up at my home. She filled her car with the scent of lavender and beautiful music which turned our ‘drive time’ in to a totally relaxing spa on wheels! We got on our way with a cup of java and a lovely drive up the coast to a charming little restaurant where we had a great lunch! This was followed by more beautiful scenery in our ‘traveling day spa’ as we made our way to a lovely lavender farm! From there we enjoyed more of the magnificent scenery and weather the Lord provided as we wound our way to Cachuma Lake before heading to Solvang to browse the many interesting shops and partake in a delicious dinner at another quaint restaurant. Kathleen's thoughtful attention to detail made me feel completely pampered the entire day. Although, we enjoyed magnificent weather and scenery, I have no doubt that even if the weather had not cooperated the day would have been just as successful because of Kathleen's sweet companionship. "Thank you for the most wonderful relaxing day of my life. Truly! I appreciate so much your diligent planning to make the day just right and geared for my thorough enjoyment. It was such a beautiful day for a drive up the coast and then inland to the tiny city of Ojai where we did some window shopping and sipped green tea at a quaint little eclectic shop/tea house. Then, you drove me around the beautiful green Ojai hills and to my delight right into the world-famous Ojai Mission Inn where we had a delicious gourmet lunch by the pool. The Spanish architecture was spectacular with fountains and outside fireplaces all around. When we checked into the spa, it was the most luxurious, huge place to be pampered that I have ever seen. I felt like royalty ..... The inside spa and plush lounge chairs beckoned, and I loved just lounging and talking, drinking fresh water with floating lemons, sipping tea and eating apples the spa provided in beautiful bowls. Thank you for the most incredible pedicure I have ever had. It was a miracle that I fell asleep, which I am sure is due to the anti-gravity chairs the spa had just acquired, along with the aromatherapy and soothing eye patch and quiet beautiful music in the background. .... I have never experienced such fabulous service there. To top off the evening, I loved the place you picked out for dinner, out of the way, but dramatic as we came upon The Farmhouse Restaurant. The quail salad was incredible, and I felt like I was in a plush area like Hawaii. Thanks again such an incredible day!" Lord willing, similar benefits await when you decide to invite me to serve and coach you in the strategic ways that I can support your obedience to the call on your life and transformation as you courageously follow His direction. Contact me to set up you Free Discovery Session today! Sign up below and get your FREE Gift today! I am interested in hearing about upcoming events. Please email me the information!